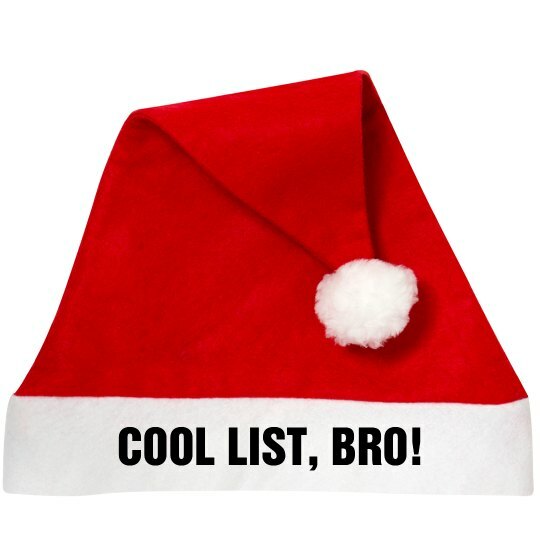 Customize a Santa Hat for the holidays. Naughty, nice, whatever design you want. Great for Christmas parties. Custom Text: COOL LIST, BRO!